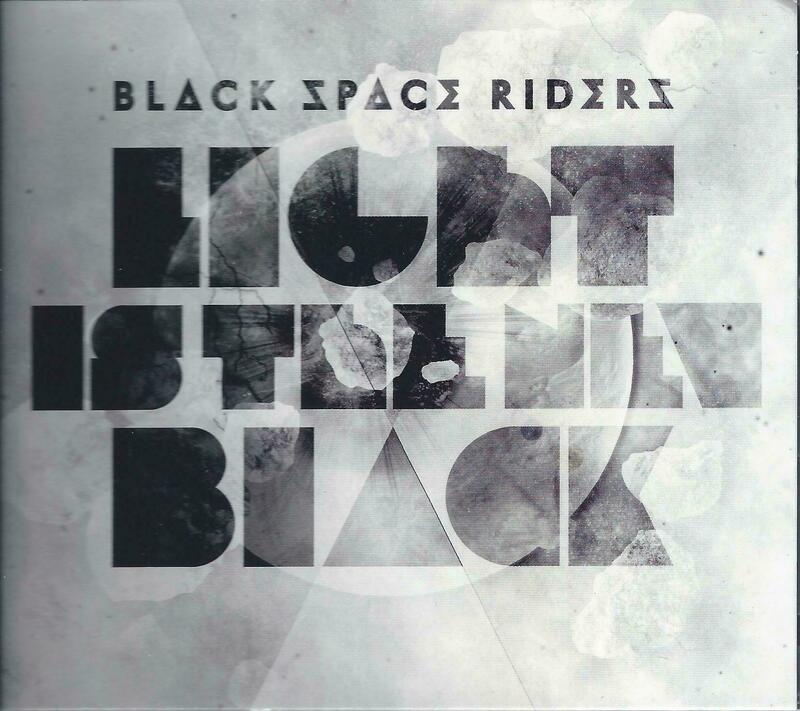 Black Space Riders are a German dual guitar, bass, drums and vocals quartet and Light Is The New Black is the follow-up to their self-titled 2010 debut (see AI #42). The core of their style is heavy stoner rock and metal, with nods to psychedelia and space rock. Much of the Space is thematic, with cosmic song titles and the album is sub-titled Songs about luminaries, black holes, hope and loss in outer space. And the album is full of effects that add a spaced out atmosphere to the music and help Black Space Riders transcend what could easily be a standard stoner-metal style. After a crushing heavy stoner opening track, the band start off calm and spacey on Sun vs. Moon (Total Eclipse), gradually picking up the rhythmic pace, creating atmosphere with cool effects, until finally launching into a stoner-metal assault. The vocals are anguished, though thankfully stop short of the unintelligible growling style that so many contemporary bands favor. And near the end we get some ripping spaced out guitar licks that make for an excellent finale to this impressively developed song. Digging Down (The Hole Part One… From Deep Below) is next and rocks hard from the start. I really like the cool tripped out fuzz guitar. “Dig digging down… Dig digging down”… pretty damn catchy for a such a head-bangin’ tune. Other highlights include We Used To Live in Light (Exodus Part Two), which at over 8 minutes is one of the longer tracks on the album. It’s a steamroller metal dirge, accompanied by strained screaming guitar, which makes for a pretty cool contrast. About halfway through the guitars start to jam, one maintaining a classic metal pace and the other going into deep space. Maybe a strange analogy but the effect is kind of like a Shoegaze band gone metal. Lost (Return Into The Void) is very different, having a bouncy groove and sounding like a song from the 80s. But the lyrics reveal an apocalyptic theme – “I was going back to Earth, but Earth is blown away. Everything is lost”. Then in the last couple minutes the band transition to a steady space-metal rock groove for the finale. Damn cool song! Night over Qo’nos (Masrammey) explores even more different territory. After an Eastern themed intro that hints at some Middle Eastern market scene the band start to rock. But then we go into even more varied directions, the music mixing metal with something that conjures up images of gypsy dancers and whirling dervishes, but also some of the most crushing metal on the album. LOTS happening here! Someone Has Turned The Knob To Switch On The Light, But Instead Something Strange Happened To The Warp Engine may be the longest title but is also one of the shortest tracks, being a freaked out effects-laden piece that leads into Louder Than Night, which alternates between stoner rock, accessible song style, and metal. The New Black (The Hole Part Two… From Above) is another brief atmospheric piece that sets the stage for the closing song, Lights Out (The Black Hole Part Three… Going Down) a metallic rocker with atmosphere and a groove. Black Space Riders have come a long way since their first album, having injected a lot of much welcome variety into their brand of stoner-metal. The production and well planned structure and flow of the album is certainly to be credited. The band utilize effects and atmosphere along with stylistic variety to create well-crafted thematic development and transitions and a seamless ride from beginning to end. It really plays like an ALBUM. You’ll pick up something new with repeated listens. “We used to live in light” is the best track. Purchased the album via amazon.com as mp3 because the CD is–as yet–an import, and very pricey. Over all, it rocks! This would be a perfect disc for the All That’s Heavy catalog, as far as US availability. I’m mention your comment to Jochen and find out if they’ve got any US distro lined up.